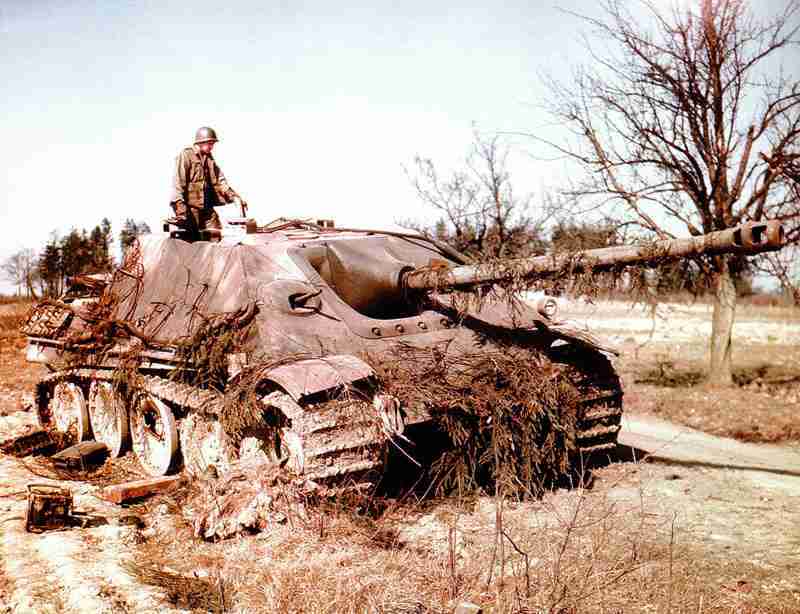 American Soldiers inspect a destroyed Jagdpanther. From this tank destroyer less than 400 were built and only about a dozen were in use in Normandy, but the flat silhouette with the highly efficient 88-mm gun made it to be a fearsome opponent. Europe: 1,000 Allied heavy bombers attack roads leading to river Seine, from Paris to the sea. Heavy raids on railway bridges in South France.